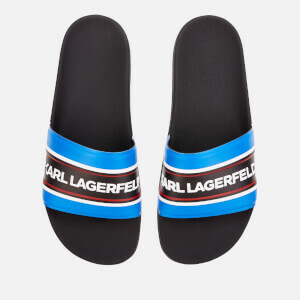 Famous for combining his sleek, monochrome aesthetic with whimsical motifs and designs, Karl Lagerfeld is recognised as one of the most influential designers of the last century. 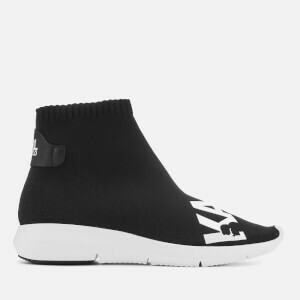 His eponymous label offers the truest expression of Karl's unique vision, with each new collection re-emphasising his bold, unapologetic approach to fashion. 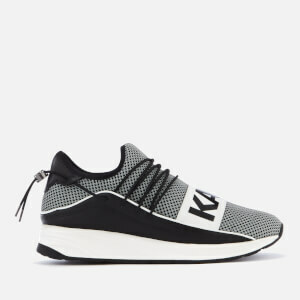 The Karl Lagerfeld footwear collection epitomises the designers self-titled brand, transforming timeless silhouettes with luxury detailing, on-trend fabrications and, of course, Karl's signature motifs. 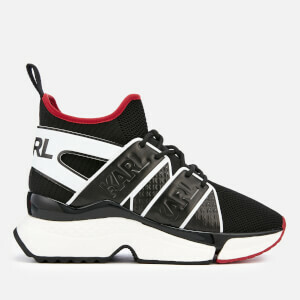 From classic tennis trainers to ballet flats and military-inspired boots, Karl Lagerfeld offers a fresh, exciting and fashion-forward interpretation of the modern footwear landscape, underlining some of this season's hottest trends from the designer catwalks. 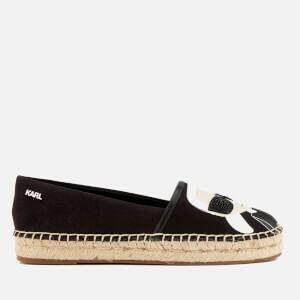 Discover the new Karl Lagerfeld women's shoe collection online at AllSole, with free UK delivery and international delivery options available.